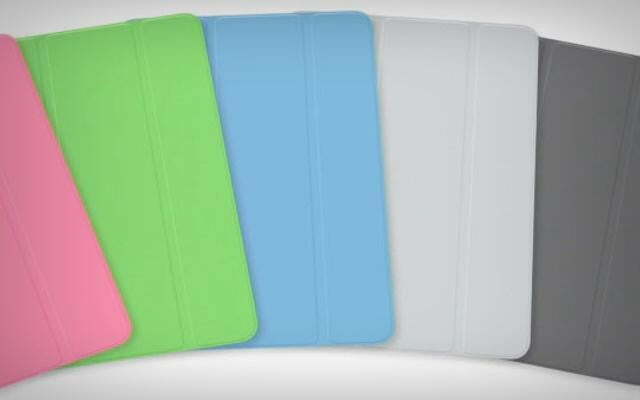 Did you think Apple’s iPad Smart Cover was the pinnacle of the Cupertino, California, company’s accessorial ingenuity? Not quite, if a new patent’s any indication. 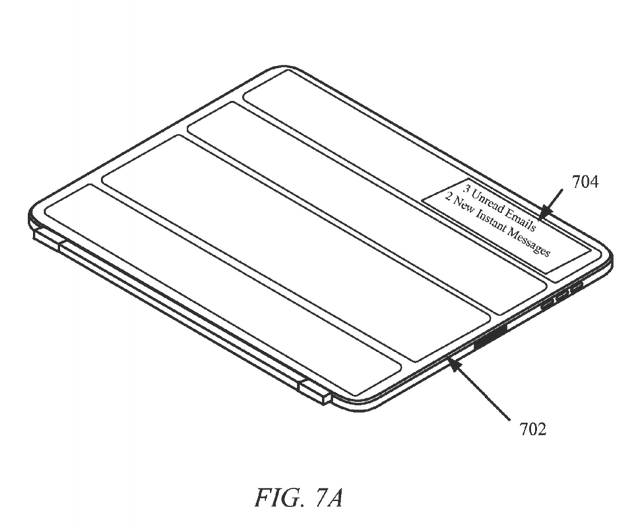 Today, the U.S. Patent and Trademark office approved Apple’s filing for a “cover attachment with flexible display” — basically, a next-gen Smart Cover with a built-in screen. 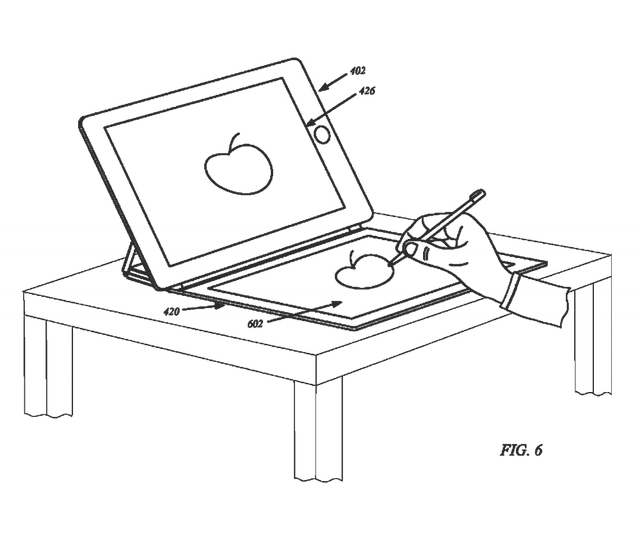 Though a “cover attachment” may sound mundane on the surface, Apple’s patent describes something genuinely innovative: a bendable display that acts as a sort of digital extension of the iPad to which it’s attached. 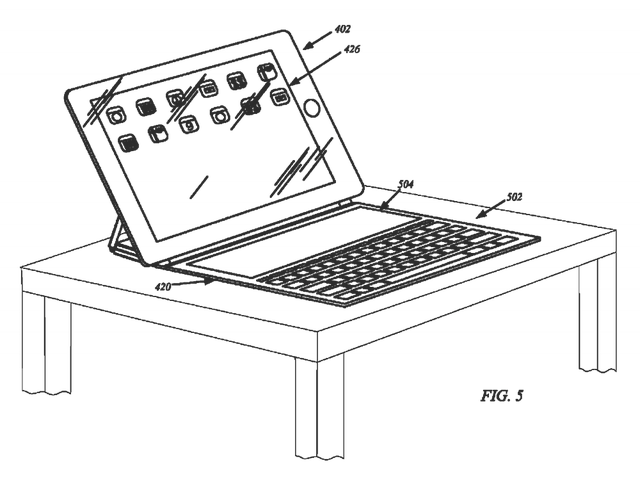 The theoretical Smart Cover could support Wacom-style styluses for the purpose of scribbling and doodling, Apple notes, and might even be used to accommodate app interfaces that stretch beyond the iPad’s display. The company envisions notifications and reminders appearing in the cover’s top-right corner, for instance, and multimedia playback controls summoned by on-screen videos and music. One thing’s for certain, of course: such a cover would require a heck of a lot more juice than the current, screen-less crop of Smart Covers. Apple’s solution? A beefed-up, four-pin variant of the iPad’s Smart Connector accessory, and a number of energy-saving steps to mitigate the increased power draw. 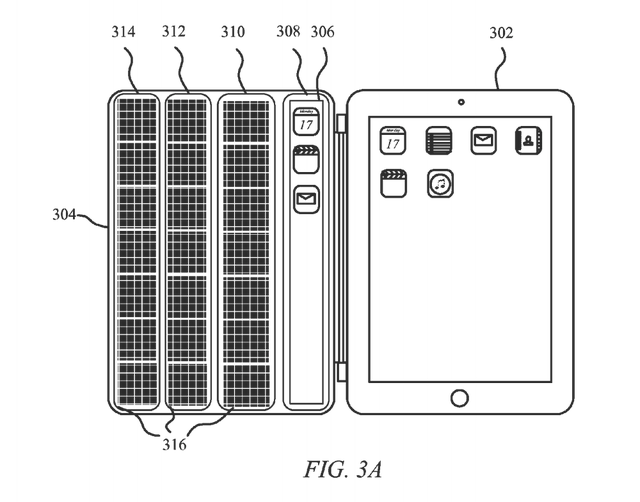 Apple proposes an AMOLED display that shuts off pixels not in use, a small battery that recharges independent of an iPad, and even an integrated array of solar panels. 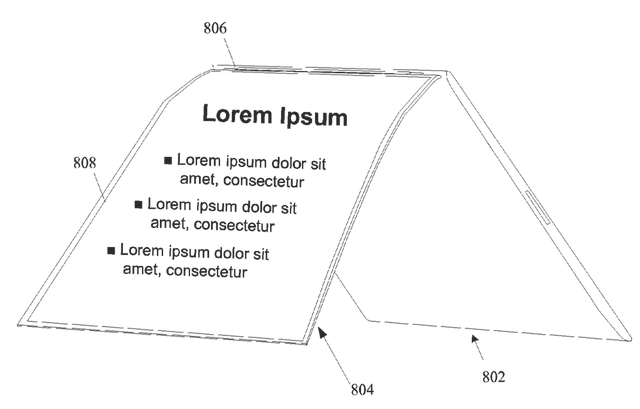 Patents, of course, remain firmly in the theoretical realm; there’s no telling when, if ever, a bendable iPad Smart Cover will hit Apple Store shelves. But scientifically speaking, such a cover’s well within the realm of possibility — Samsung’s planning to commercialize foldable displays as soon as 2017, and LG’s expected to follow suit. The screens expected to feature in new tablets and smartphones, mainly, but there’s no technological reason they couldn’t appear in an iPad cover. Here’s hoping Apple feels the same.